"STORM SHEDS" - MORE WOOD - THICKER WOOD - STRONGER WOOD - CLOSER FRAMEWORK. Clearly visible solid and durable construction. 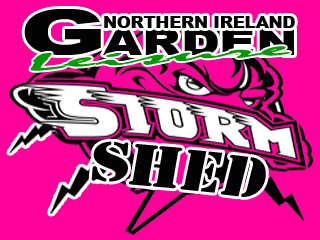 “STORM SHEDS” meet your expectations. Developed over decades, this unique design has many new smart features added to a very robust traditional design. 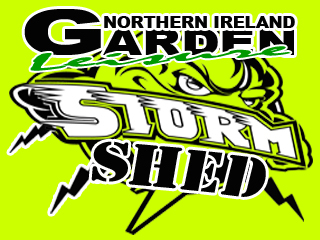 From ventilation to insulation we can demonstrate the advantages and benefits of a "STORM" shed. Others can and will quote lower prices, however no one quotes a lower price for a shed made to this specification and craftsmanship. All “Storm Sheds” come treated and painted. 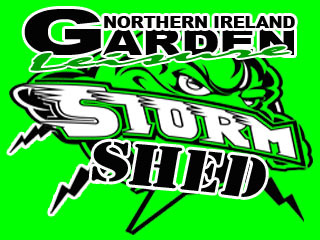 “STORM EXTRA” sheds include even thicker roof, walls and floors and are often used for home business and garden rooms..
All sheds come with delivery, base, installation and painted included. Roller Door Storm Garages come with a roller door in choice of colours. We know the pitfalls to avoid because simply making a big shed is not the answer! Please contact us to discuss your requirements. We will manufacture to any bespoke sizes and specifications.